Growing plants from seed is the most common method of propagation, but it is by no means the only one. Some plants will not produce their exact replicas from seed. Often, flower colours and sometimes even flower shapes will be different, so alternative, vegetative techniques of propagation are required. Of these, division is the simplest method but, for plants that you cannot divide, layering, cuttings, budding and grafting are methods that will ensure that the new plants are exactly the same as the parent. 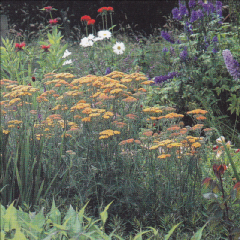 Division is a method used to increase the number of your perennial plants. It is perhaps the simplest and most effective method of propagation and it produces good, sizeable plants very quickly. 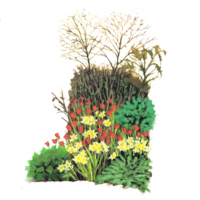 Indeed, many perennials begin to lose vigour after a few years and will benefit greatly from being lifted from the soil and divided. For most perennials, this should be done in autumn. 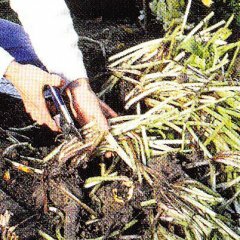 Cut back the old flower stems and lift the whole clump using a fork. Divide it in half, and remove the young shoots from the outside of the clump. The centre of the clump is the older, less vigorous, part of the plant and you should discard it. Some plants, such as plantain lilies (Hosta sp. ), have fleshy roots and should be treated differently. These are best lifted for division in spring, just before they start into growth. Then you will be able to see new buds and thus have an idea of where to cut. Each new piece should have at least one good bud. Cut through the root with a sharp spade or a large knife and replant the parts as soon as possible. Dig up the crown with a fork, lifting the rootball without damaging the roots. Shake to remove the soil. 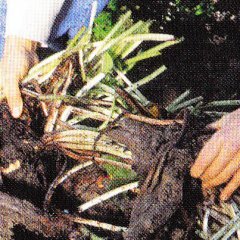 Divide the clump into at least two parts, using your hands for small plants, or, use a fork for bigger plants. Plant the divided plants immediately, selecting the ones with healthy roots and also removinng the centres of those plants that are ggetting old. 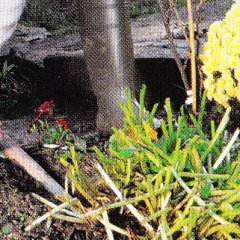 Replace the soil remove from the hole and firm well with your hands when the plans are small or with your feet when replanting larger plants.